Planning a business event can be quite a task, especially as there are so many aspects of event planning to think about. You want your event to be as memorable as possible for your guests; not only for your company image but for future investors and clients to get a feel for how your business operates. 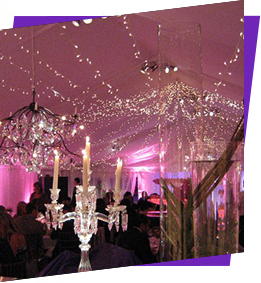 In order to host the perfect event, you’ll need to make sure that the mood you are setting is the right one. If your guests feel uncomfortable or the right level of professionalism – if that’s what you are wanting to go for – isn’t achieved, you could end up with an empty function rather than a busy one! Want to get that mood perfect right from the start? Here’s our professional advice! Location, location, location. We’ve heard it all before, but it really is true that where you host your event can have a huge impact on the success, as well as setting the mood and atmosphere for your whole event. Let’s face it, if you are holding a prestigious business event with some of your biggest clients in attendance, you are going to want to impress them. In this case, you will want to look for a grand building that oozes class and professionalism; don’t settle for the church hall if it doesn’t create the right atmosphere! Did you know that you can change the mood of a setting simply by adjusting the lighting? 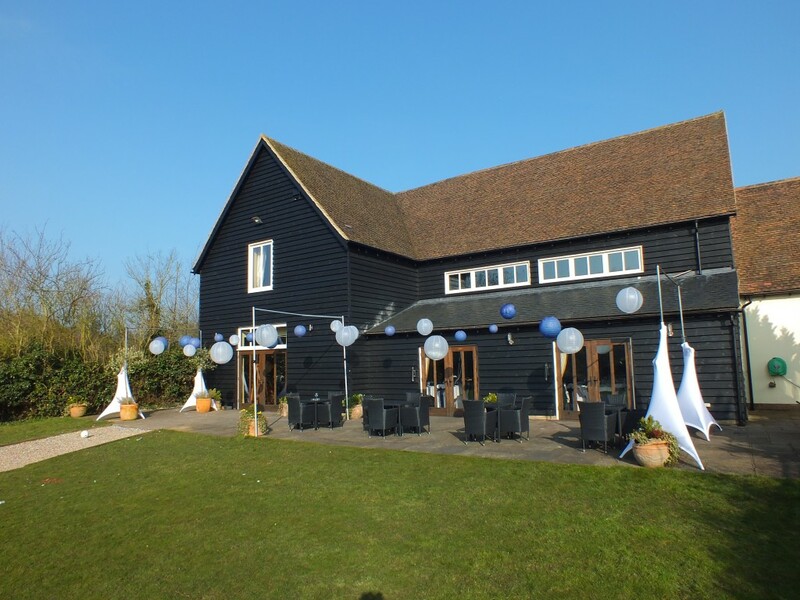 You can go from sultry, professional atmosphere to party central in an instant, simply by adapting the way your venue it lit! Lighting is essential for creating the right atmosphere as well as giving your guests a way to see what is in front of their faces. 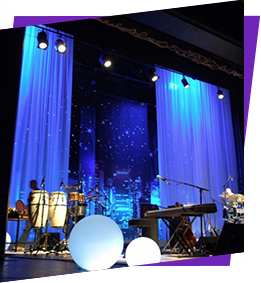 Whether it’s a feature enhancing uplight or a star cloth backdrop on the stage, the way you light your event will really affect the mood and atmosphere that your venue is creating. For a more professional look, why not highlight some of the architecture in your venue using uplights? It’s an effortless look which gives off an air of class and style – and what’s more, the mood can be changed and customised with the simple addition of a colour filter! 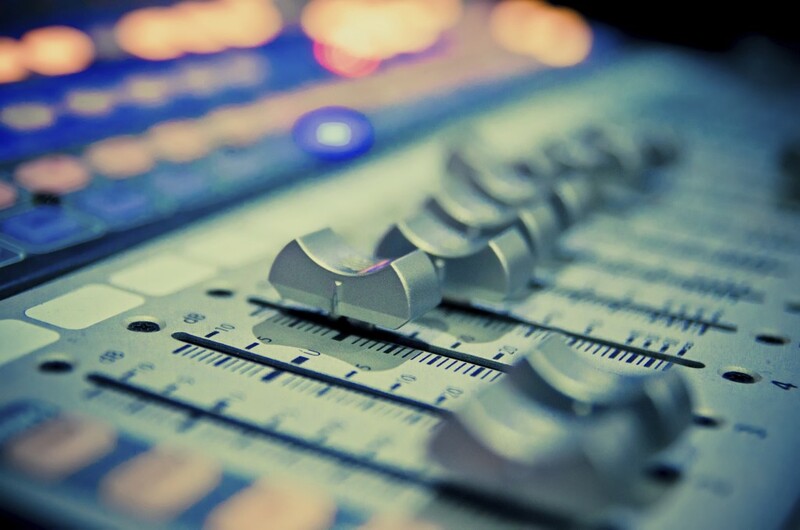 Even the most professional of events can benefit from the inclusion of music; not only does it give some background noise to avoid any awkward silences, but it also helps keep the atmosphere calm and relevant to the event. Try to choose music that isn’t too in your face or loud - you want the music to complement the atmosphere, not dominate it. Calming, classical tunes are a great choice for background music, with more upbeat snippets for more important parts of the evening, such as awards ceremonies. If your business has a jingle, then it’s a great opportunity to make it an earworm and get your guests humming along! Atmosphere and mood doesn’t have to solely come from the people attending the event; in fact, it’s better if you can give your guests a hint as to what kind of event they are coming into by setting the mood before the event has properly started! If you feel like you could use the help of our effective lighting solutions to set the perfect mood at your business event, don’t hesitate to get in contact with us today by calling 07950 729708 – we’ll be happy to help you!